Why Buy Directors and Officers Insurance? Directors and Officers are held responsible for implementing sound corporate policies and procedures and for monitoring management’s implementation of such procedures. This can include day to day decisions such as sound investment management, release of non-public information, conflicts of interest, hiring and firing decisions, corporate policies regarding discrimination, sexual harassment, benefit plans, merger and acquisition activity just to name a few. D&O’s can be held personally responsible for investment decisions of the company’s portfolio of assets. Such negligence can include failure to evaluate properly the credentials of the person responsible, failing to have policies limiting the type and duration of asset purchases, failure to require purchases in excess of certain limits to be approved by the board, etc. 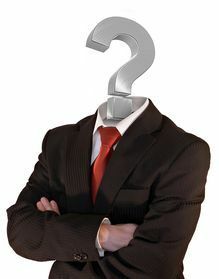 Regardless of the reason, they can be brought into a suit for failure of the company’s portfolio to perform. The SEC requires companies to abide by specific procedures as to when and how company information is disseminated to the public. Without a specific written plan, D&O’s can be held liable for the effects of releasing such information. The SEC imposed both criminal and civil penalties, depending upon the situation. Even though D&O insurance will not protect an individual for criminal behavior, these policies are designed to protect the company’s assets and other Directors and Officers in the event of such an occurrence. This is a major area for lawsuit with Directors and Officers who typically serve on multiple boards and have investment portfolios that may encompass competitive situations. It is common for example in a hospital for large physician groups to have board representation. It can be alleged that these doctors have a conflict of interest when negotiating with other doctors. As another example, it is common for Boards to have their attorney’s, accountants, brokers and others on their boards. This is usually a very bad practice, unless such professionals recluse themselves from voting on specific issues and refrain from providing professional services. Companies should adopt formal Conflict of Interest policies to monitor such conflicts. Shareholders and other potential defendants will utilize any angle they can in order to win a verdict. Although most Directors and Officers are not individually involved in hiring and firing decisions of most employees. They maintain ultimate responsibility for ensuring that their company provides a safe and discrimination free work environment. They approve the company’s policies and procedures regarding hiring, firing and promoting employees. They are also responsible for supervising management in the implementation of these procedures. A terminated employee may sue on the grounds that the company should have safeguards in place to ensure a safe environment, provide appropriate feedback in the form of evaluations and that such procedures should be formally documented in the employment manual. Employment Practices Liability Insurance (EPLI) provides protection from actual losses from the company, however, the individual D&O’s can also be found liability. Without a properly worded policy, individual D&O’s can be held individually liable.